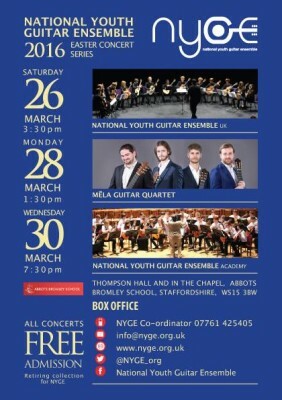 Looking forward to our first concert under the new title NYGE UK on Saturday 26th March. I'll be directing the Birmingham ensemble in this exciting concert along with the London ensemble. More details here. Mark is delighted to once again be resident at this years World Youth Guitar Festival. He will be directing the Guitar Circus-Birmingham for their recital on Tuesday 4th August and coaching other ensembles throughout the week. There are still places available so please go to www.wygf.org for more information. Mark is delighted to be involved with this brand new online initiative. You can now have a 1 hour consultation with Mark from anywhere in the world. 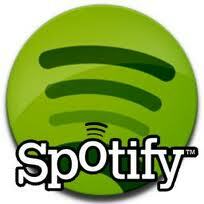 Dates and times that you can book are available through the musical orbit website. Click here to book a lesson time. Vida CD launch at the South Bank Centre-London. 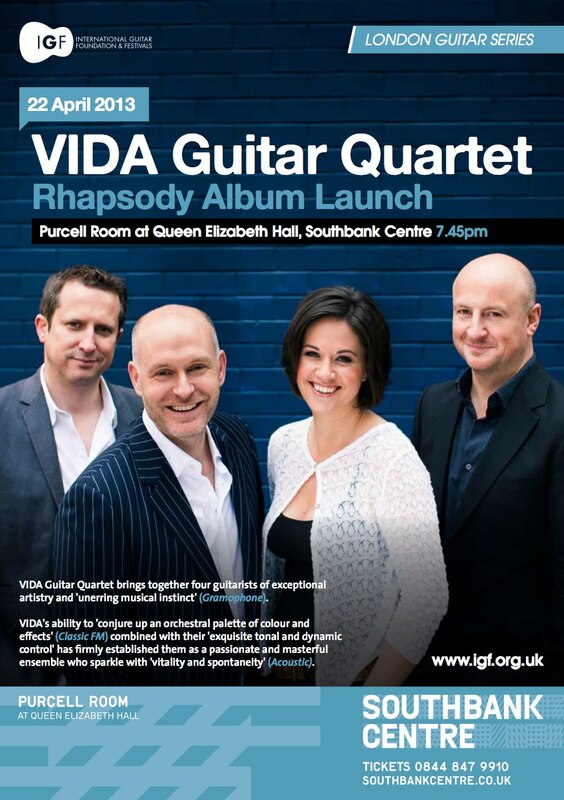 This is a very exciting year for Mark and the Vida Guitar Quartet with the release of their new CD 'Rhapsody' on the BGS label. 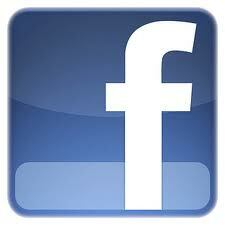 The launch will take place at the Purcell Room-South Bank Centre, London on Monday 22nd April at 7.45pm. The new CD includes an exciting new arrangement of George Gershwin's 'Rhapsody in Blue', Mark's own arrangement of Malcolm Arnold's 'English Dances', Adam Gorb's 'Yiddish Dances' and David Crittenden's 'A Scottish Fantasy'. Should be a night to remember so join them if you can. 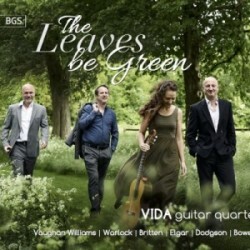 Click here to view a tantalising clip on youtube, of them performing in a recent concert on their US tour.